Prof. Nassiri is a former Associate Dean of Global Health at the Michigan State University (MSU). He also served as MSU director of Institute of International Health. He is currently a faculty member of the departments of Pharmacology and Toxicology, and, Family and Community Medicine, and, lecturer in Global Health, Infectious Diseases and Tropical Medicine. He currently works on international public health issues relating to infectious diseases and tropical medicine and has expertise in global health. He has made contributions in various fields of medical sciences including clinical investigation and health education. On the basis of his extensive experience and expertise in chronic infectious diseases including HIV/AIDS, TB as well as antimicrobial resistance and human gut microbiome, he developed clinical research programs in Brazil, South Africa, Haiti, Dominican Republic and Mexico. He had served as editorial board member for the journal of HIV and AIDS Review. He is currently on editorial board member numerous peer-reviewed journals including J. of AIDS Patient Care and STDs, and International Journal of Global Health. Prof. Nassiri has delivered seminar presentations on Antibiotic Resistance, Tropical Medicine, HIV/AIDS, TB, Global Health and public health interventions in numerous national and international conferences and workshops. He is internationally recognized for his work in the areas of building effective international partnerships particularly in global health, community health, clinical care capacity building, and technical assistance mechanism. He has developed academic and research partnership programs with Federal University of Para Institute of Tropical Medicine in Belem, Brazil. Dr. Brennan began his life-long involvement in tuberculosis and leprosy research in 1962 under Professor Frank Winder at Trinity College Dublin. His Ph.D. studies helped establish for the first time that the killing effect of isoniazid on the tuberculosis (TB) bacillus was through inhibition of the synthesis of mycolic acid. Under Professor Clinton Ballou at the University of California, Berkeley, he was responsible for the early definitive work on the biosynthesis of the phosphatidylisositolmannosides (PIMs) of mycobacteria. On his return to Ireland, Dr. Brennan was Research Lecturer in the Department of Biochemistry, Trinity College Dublin, and subsequently Lecturer in Biochemistry at University College Dublin. Dr. Brennan returned to the U.S. in 1975, to positions at National Jewish Hospital and the University of Colorado Medical Center, and in 1980 to Colorado State University. Over the past 35 years, he has led research teams in conducting some of the most fundamental research on the nature of the tuberculosis and leprosy organisms: (i) definition of the structure, biosynthesis, and genetics of the core cell wall of the TB bacterium and the mode of action of several key TB drugs; (ii) discovery and molecular definition of LAM, the key ligand in the interactions of the TB organism with host cells; (iii) the discovery and molecular structure of PGL I (phenolic glycolipid I), the specific antigen/marker of the leprosy organism and its application to the selective diagnosis of leprosy; (iv) the introduction of the first skin test antigen for leprosy diagnosis for a leprosy endemic area; (v) definition of the chemical basis of the serotype difference of most of the non-tuberculosis mycobacteria. Brennan has authored over 300 peer-reviewed publications in these and related areas. He has attracted over $20 million in research funds to the University. In 1998, he was named one of 12 University Distinguished Professors at Colorado State University and in 2004 he was elected to the American Academy of Microbiology. He is Editor-in-Chief of Tuberculosis and an editor of Pathogens and Disease and a former editor of Journal of Biological Chemistry. Ananda M. Chakrabarty, Ph.D., is a Distinguished University Professor at the University of Illinois College of Medicine at Chicago. While working at the Research & Development Center at General Electric Company in Schenectady, New York, he was awarded the ‘Scientist of the Year’ award in 1975 by Industrial Research Organization of the United States. This work led to the development of a genetically-manipulated microorganism that was the subject matter of a landmark decision from the Supreme Court of the United States that genetically engineered life forms are patentable. Dr. Chakrabarty has served as a consultant with the United Nations and was the founding member of a UNIDO Committee that proposed the establishment of the International Centre for Genetic Engineering & Biotechnology (ICGEB) based in Trieste, Italy, New Delhi, India, and Cape Town, South Africa. Dr. Chakrabarty has been a member of the Panel of Scientific Advisors, later called Council of Scientific Advisors, of ICGEB since its very inception. Dr. Chakrabarty has also been a member of the International Advisory Board of Chulabhorn Research Institute in Thailand, which is headed by the Princess Chulabhorn of Thailand, and a member of the Scientific Advisory Committee of the Department of Biotechnology (DBT) under the Ministry of Science & Technology, Govt. of India. He has received many awards, including the Distinguished Scientist Award from the United States Environmental Protection Agency (EPA), MERIT Award from NIH, U.S. Army Distinguished Service Award, Pasteur Award, Inventor of the Year Award, American Chemical Society Public Affairs Award, Procter and Gamble Environmental Biotechnology Award, European Union Eurydice Award given in Brussels in 2007, among others. He served the U.S. Govt. as members of various NIH study sections, member of the Board on Biology of the U. S. National Academy of Science, Committee on Biotechnology of the U.S. National Research Council, The Stockholm Environment Institute of Sweden, and on the Scientific Advisory Boards of many academic institutions such as Michigan Biotechnology Institute, Montana State University Center for Biofilm Research, Center for Microbial Ecology at the Michigan State University, and in Canada as a member of the Scientific Advisory Board of Canadian Bacterial Diseases Network based in Calgary, Canada. Dr. Chakrabarty also served NATO as a member of NIAG, NATO Industrial Advisory Group based in Brussels, Belgium. He was a member of the Board of Directors of Einstein Institute for Science, Health and the Courts, where he participated in judicial meetings involving contentious scientific issues. He was also involved in international judicial working conversations, where he served as a Scientific Advisor for meetings in Hawaii and Ottawa, Canada, organized by the Supreme Court of Canada. Dr. Chakrabarty’s current research involves development of anticancer and anti-retroviral agents from microbial sources. As part of CDG Therapeutics Inc. (www.cdgti.com) , he has developed candidate anticancer drugs such as azurin that can act on both the malarial parasite Plasmodium falciparum and the AIDS virus HIV-1 to combat co-infection, as well as drug candidates that can be used for the potential treatment of many forms of cancer including brain tumors. A chemically-synthesized 28 amino acid peptide derived from azurin, termed p28, has shown very little toxicity in 15 advanced stage cancer patients but significant beneficial effect, including partial and complete regression of tumors that were refractory to conventional drugs, in phase I human clinical trials in Chicago. He has also developed similar candidate anticancer drugs as part of an Indian company Amrita Therapeutics (www.amritatherapeutics.com). He was awarded the civilian Padma Shri award by the Government of India in 2007. Dr. Chakrabarty’s current research involves development of anticancer and anti-retroviral agents from microbial sources. As part of CDG Therapeutics Inc. (www.cdgti.com) , he has developed candidate anticancer drugs such as azurin that can act on both the malarial parasite Plasmodium falciparum and the AIDS virus HIV-1 to combat co-infection, as well as drug candidates that can be used for the potential treatment of many forms of cancer including brain tumors. A chemically-synthesized 28 amino acid peptide derived from azurin, termed p28, has shown very little toxicity in 15 advanced stage cancer patients but significant beneficial effect, including partial and complete regression of tumors that were refractory to conventional drugs, in phase I human clinical trials in Chicago. He has also developed similar candidate anticancer drugs as part of an Indian company Amrita Therapeutics (www.amritatherapeutics.com). He was awarded the civilian Padma Shri award by the Government of India in 2007. Professor S. Louise Cosby is a graduate (B.Sc. and Ph.D. in Microbiology) of Queen’s University Belfast and was a member of staff for over 30 years. She held the post of Chair of Microbiology in the School of Medicine Dentistry and Biomedical Sciences from 2002 to 2015. She is currently Head of Virology Branch at the Agri-Food and Biosciences Institute in Belfast and emeritus Professor at Queen's University Belfast. Professor Cosby is a Fellow of the Royal College of Pathologists (London) and a Fellow of the Royal Society of Biology (UK). She was a visiting Associate Professor in Cornell University USA and is an occasional visiting scientist at the Pirbright Institute, UK. Previous/present board membership: BBSRC, UK; Science Foundation Ireland (chair of Bioscience panel); Infections and Immunity and Host Defence Panel, Health Research Board, Ireland; Professional Development Committee of the Microbiology Society, Learned Societies Parliamentary Committee, Northern Ireland; British Society for Immunology (Regional and Affinity Group and Forum member) Infection and Immunity Translational Research Group Northern Ireland; Gerson Lerman’s Group’s Healthcare Advisor’s Board, USA. Editor positions: Associate Editor for the Journal of Neurovirology; Review Editor for Frontiers in Microbiology; Assessor roles: appointments and promotions in Medical Microbiology, University of Malaysia; reviewer of applications for the European Commission. Work has focused on paramyxoviruses of both human and veterinary interest and has included elucidation of pathogenic mechanisms of measles virus (MV), the closely related veterinary morbilliviruses and more recently respiratory syncytial virus. 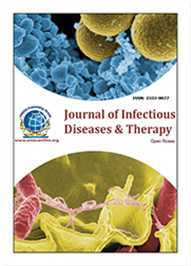 Major interests are in the interaction of viruses with cell receptors as major determinants of virus host range, tissue tropism and induction of disease. This includes investigations into morbillivirus cell entry receptors and interaction of respiratory viruses with transcient potential and acid sensing receptors of bronchial epithelium and peripheral nerves. Recent interests are also in new approaches to human and veterinary vaccines and diagnostics. For his PhD Prof. Ryan cloned and sequenced Enterovirus Type 70 (EV70) at Leicester University – the first enterovirus genome sequence published after poliovirus. He then went on to work on another animal picornavirus, Foot-and-Mouth Disease Virus (FMDV) at the Pirbright Institute. There he produced the first complete map of FMDV polyprotein processing, the first test to differentiate between infected and vaccinated animals, and characterized the activity of the FMDV 2A oligopeptide sequences (just 18aa) in FMDV polyprotein processing. After his move to the University of St Andrews in 1994, he continued to work on FMDV 2A - but using artificial ‘reporter’ polyprotein systems. Using such systems he showed that 2A was not a novel form of single turn-over proteolytic element, but brought about a translational ‘recoding’ event (ribosome ‘skipping / StopGo translation / stop carry-on translation). His laboratory went on to identify a range of (picornavirus and non-picornavirus) ‘2A-like’ sequences which have been used extensively in biomedicine and biotechnology. More recently, his laboratory has performed research on cellular 2A-like sequences found within non-LTR retrotransposons and NOD-like receptors proteins. Latterly, the research emphasis has moved over to development of new animal virus vaccines based upon modification of codon usage to increase CpG and UpA dinucleotide frequencies and the development of FMDV ‘replicon’ genomic forms for use in attenuated vaccine development. Development of new animal virus vaccines and the development of FMDV ‘replicon’ genomic forms for use in attenuated vaccine development. Professor Ibrahim M. Banat, Professor of Microbial Biotechnology at the University of Ulster, UK. Has more than 30 years’ experience in academic and research institutions in Europe and internationally and has several active collaborative project within the EU and other international academic and industrial establishments. 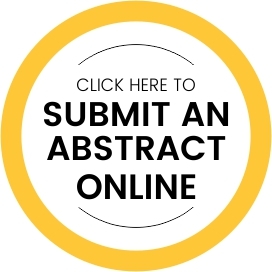 Research interests include biosurfactants and bio-actives production and potential utilization in environmental oil pollution control and hydrocarbon polluted land bioremediation and microbial enhanced oil recovery. He also recently concentrating on investigating biomedical, pharmaceutical, health and cosmetics related applications of biosurfactants. Prof. Banat also has interest and worked on molecular and cell biology of thermophilic Geobacilli bacteria and bioethanol fermentation and the molecular biology of biosurfactant producers. Joachim Wink has completed his Ph.D in 1985 from Frankfurt University. He then went to the pharmaceutical industry and started his career at the Hoechst AG where he was responsible for the strain collection and specialized in the cultivation and taxonomic characterization of Actinobacteria and Myxobacteria. During the years he was responsible for the strain library within the pharmaceutical research and a number of screening projects with Hoechst Marion Russel, Aventis and Sanofi. In the year 2005 he did his habilitation at the Carolo Wilhelma University of Braunschweig and 2012 he went to the Helmholtz Centre for Infection Research in Braunschweig where he founded the working group of the strain collection with its focus on Myxobacteria. Here he is now working on the isolation and taxonomic characterization of Myxobacteria and Actinobacteria as well as the analysis of their secondary metabolites with a focus on the antibiotics active ones. The Compendium of Actinobacteria on the homepage of the German Culture Collection is a permanent actualized working tool for people working with Actinobacteria which is prepared by him. He has published more than 50 papers on secondary metabolites and the taxonomy of the producing microorganisms in reputed journals, a number of reviews as well as book chapters and more than 35 patents. He is member of the editorial board of a number of international journals. Giulio Tarro graduated from Medicine School, Naples University (1962). Research Associate, Division of Virology and Cancer Research, Children’s Hospital (1965-1968), Assistant Professor of Research Pediatrics, College Medicine (1968-1969), Cincinnati University, Ohio. Oncological Virology Professor, Naples University (1972-1985). Chief Division Virology (1973-2003), Head Department Diagnostic Laboratories, (2003-2006). D. Cotugno Hospital for Infectious Diseases, Naples; Emeritus, 2006 -. Since 2007 Chairman Committee of Biotechnologies and VirusSphere, World Academy Biomedical Technologies, UNESCO, Adjunct Professor Department Biology, Temple University, College of Science and Technology, Philadelphia, recipient of the Sbarro Health Research Organization lifetime achievement award (2010). President Foundation de Beaumont Bonelli for Cancer Research. His basic research has been concerned with antigens induced early during the replication cycle of human herpesviruses. Another study has involved the identification, isolation, and characterization of specific virus-induced tumour antigens, which were the "fingerprints" left behind in human cancer. Achievements include patents in the field; the discovery of Respiratory Syncytial Virus in infant deaths in Naples and of tumor liberated protein as a tumor associated antigen, 55 kilodalton protein overexpressed in lung tumors and other epithelial adenocarcinomas. Petra Dersch graduated in Biology at the University of Konstanz. She continued her studies of Microbiology at the University of Konstanz and the Max-Planck-Institute for Terrestrial Microbiology Marburg and finished her PhD in 1995. After that, she worked as a postdoc in the laboratory of Dr. Ralph Isberg at the Tufts Medical School/Howard Hughes Medical Institute in Boston/USA. In 1998, back in Germany, she started as a Research Assistant with her own group at the Freie Universität Berlin. From 2003 - 2005, Petra Dersch was Junior Research Group Leader at the Robert Koch Institute Berlin. In 2005, she was appointed at the Technische Universität Braunschweig as Associate Professor in microbiology. Since 2008, Petra Dersch is Head of the Department of Molecular Infection Biology at the Helmholtz Centre for Infection Research in Braunschweig and holds a co-appointment as full professor in microbiology and infection biology at the Technische Universität Braunschweig. Petra Dersch is member of various boards, since 2012 she is elected member of the study section „Microbiology, Virology and Immunology“ of the German Research Foundation. She is member of the Central Commission for Biological Safety of the Federal Office of Consumer Protection and Food Safety Germany. Since 2016 she is one of the Vice Presidents of the DGHM (German Society for Hygiene and Microbiology). In 2013 Petra Dersch was awarded the Main Prize of the DGHM. Her main research field is molecular pathogenesis of enteric bacterial pathogens. She published more than 90 original papers in peer-reviewed international journals, reviews and book chapters. Her main research field is molecular pathogenesis of enteric bacterial pathogens. Maurizio Provenzano graduated as MD from La Sapienza University of Rome and obtained his specialization in Medical Oncology at the University of Milan and his PhD in Virology at the University of Padua. He is a tenured investigator in the position of the Head of Research at the Department of Urology, University Hospital of Zurich and Lecturer at the Faculty of Medicine, University of Zurich. Since 2007 he has been member of the Cancer Network of Zurich. He has authored more than 70 peer-reviewed publications incl. reviews, book chapters and conference papers, many of which in highly qualified scientific periodicals and has been serving as an editorial board member of reputed journals. He has been recipient of professional awards and prizes for the contribution to the field of viral oncology and onco-immunology. Alastair Fleming studied Microbiology at Heriot-Watt University in Edinburgh, where he also obtained his PhD with a thesis on industrial extracellular enzyme synthesis from sporulation-deficient strains of Bacillus licheniformis. He subsequently joined Prof. Mary Ann Osley’s lab at the University of New Mexico in Albuquerque, USA, where he investigated the epigenetic regulation of DNA damage repair and transcription in the yeast, Saccharomyces cerevisiae. He is now Assistant Professor in the School of Microbiology and Genetics at Trinity College Dublin, Ireland, where he is the PI of the Yeast Chromatin Group. Dr Fleming’s research group focuses on the role of ‘chromatin remodelling’ during gene transcription in yeast. Current research areas include the investigation of; (i) the epigenetic signature associated with cellular aging, (ii) the epigenetic regulation of transcription initiation, (iii) the epigenetic memory during transcription elongation and (iv), the chromatin-mediated regulation of flocculation within yeast cell populations. Yeast chromatin and epigenetic regulation of transcription. Head of Microbiology Laboratory& Medicine Residency Coordinator, supervisor PhD in Medicine and also a member of the leadership of in ESC, ESGP & ESCMID. Prof Monica is also a member of the editorial staff / reviewer of national and international journals. 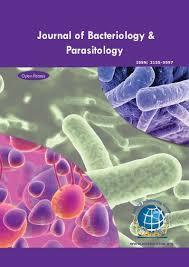 She has been awarded with a honorary diploma by the National Society of Parasitology. She is a visiting professor of the Aristotle University, Thessaloniki, Greece. Euverink (1966) holds a position as full professor and is head of the research group “Products and processes for Biotechnology”. He is embedded in the “Engineering and Technology institute Groningen”, at the University of Groningen. From 2004 until 2011 he was program director of Wetsus, European Center of Sustainable Watertechnology in Leeuwarden, the Netherlands. From 1998 until 2004 he started and managed successfully BioExplore, a high throughput screening facility at the department of Microbial Physiology of the Groningen Biomolecular and Biotechnology institute. From 1994 until 1998 he was a post-doc at the Dutch Institute for Carbohydate Research and developed a novel process for the synthesis of a thermoreversible starch derivative. This product is currently produced by Avebe under the brandname Etenia. Euverink received his PhD in microbiology at the University of Groningen in 1995 based upon a study of phenylalanine and tyrosine metabolism in the methylotrophic actinomycete Amycolatopsis methanolica. Prof. Angela Cunha is an Assistant Professor in the Biology Department of the University of Aveiro, Portugal and a researcher at the Centre for Environmental and Marine Studies. She has been involved in lecturing graduate and post graduate courses in the fields of Microbiology and Genetics and is currently the Director of the Bachelor Course in Biology. Her main research field is the distribution and activity of microorganisms in the environment, the contribution of bacteria to biogeochemical cycles and the interactions between microorganisms and plants in the perspectives of bioremediation and plant growth promotion. 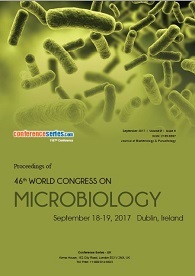 Oil-degrading microorganisms and microbe-enhanced phytoremediation; Plant-bacteria interactions and rhizosphere microbiology; Biosurfactant-producing bacteria and other bacterial bioactive compounds; Photodynamic inactivation of microorganisms in environmental matrices; Control of environmental biofilms. Dr Nikos Mavroudis is a Senior Lecturer in Food Science and Programme Leader in Food and Nutritional Sciences. He joined Northumbria University in June 2010 after nine years successful career in Unilever R&D. In collaboration with Unilever R&D, Nikos has also proposed and subsequently was awarded an individual Marie Curie Post-Doc fellowship on factors affecting nutrient release. PhD in Microbiology and Virology, with an high specialization in Molecular and Cellular Pathology, Arnolfo Petruzziello was born in Naples, Italy, where actually works as Head of the Laboratory of Virology and Molecular Biology “V. Tridente” at National Cancer Research IRCCS Italia- Fondazione “G. Pascale” in Naples. Professor of Microbiology, General Pathology and Clinical Microbiology for the University of Naples “Federico II”, he is also Quality Assurance Manager in the JACIE program for the autologous transplantation program of the Department of Haemathology and OECI (Organization of European Cancer Institutes) auditors. He is author of numerous scientific publications and member of the Editorial Board of several prestigious scientific Journals in Virology and Microbiology. His fields of interests are mainly Virology and Molecular Biology, with particular reference to PCR for the diagnosis of HBV, HCV, HIV infections and EBV, HSV and CMV co-infections in the context of the transplantation program. Dr. Bożena Futoma-Kołoch graduated from University of Wrocław in 2004. She received her Ph.D. in microbiology from the University of Wrocław in 2008. After that, she has held an academic position of Assistant Professor in the Department of Microbiology in the Institute of Genetics and Microbiology at University of Wrocław. She is a member of Polish Society of Microbiologists, and International Complement Society. She has published more than 50 papers in national and international journals, 30 presentations at congresses, with several awards. Dr. Futoma-Kołoch's research program focuses on bacterial surface antigens as molecular targets of the protective immune response and their role in bacterial resistance to disinfectants. Bacterial surface antigens as molecular targets of the protective immune response and their role in bacterial resistance to disinfectants. Dr. Amparo Gamero Lluna works as Assistant Professor in Nutrition and Bromatology area at the University of Valencia, Spain. She holds an European Ph.D in Food Science, Technology & Management as well as Human Nutrition & Dietetics and Food Science & Technology degrees. Her main research topic is the study of aroma production by yeasts in food products, especially alcoholic beverages. The yeasts studied are Saccharomyces species, their natural interspecific hybrids and non-conventional yeasts. Her research interests reflect in her wide range of publications in international journals and her participation in congresses at international level. She has worked and carrying out short stays at different universities, research centers and companies of different European countries: Spain (Spanish National Research Council, CSIC; University of Valencia; University of Zaragoza; AINIA technology centre), The Netherlands (NIZO food research; Fungal Biodiversity Center, CBS-KNAW), Denmark (University of Copenhagen; Carlsberg Research Center; Christian Hansen) and Belgium (University of Leuven). Dr. Brennan began his life-long involvement in tuberculosis and leprosy research in 1962 under Professor Frank Winder at Trinity College Dublin. His Ph.D. studies helped establish for the first time that the killing effect of isoniazid on the tuberculosis (TB) bacillus was through inhibition of the synthesis of mycolic acid. Under Professor Clinton Ballou at the University of California, Berkeley, he was responsible for the early definitive work on the biosynthesis of the phosphatidylisositolmannosides (PIMs) of mycobacteria. On his return to Ireland, Dr. Brennan was Research Lecturer in the Department of Biochemistry, Trinity College Dublin, and subsequently Lecturer in Biochemistry at University College Dublin. Dr. Brennan returned to the U.S. in 1975, to positions at National Jewish Hospital and the University of Colorado Medical Center, and in 1980 to Colorado State University. (v) definition of the chemical basis of the serotype difference of most of the non-tuberculosis mycobacteria. Brennan has authored over 300 peer-reviewed publications in these and related areas. He has attracted over $20 million in research funds to the University. In 1998, he was named one of 12 University Distinguished Professors at Colorado State University and in 2004 he was elected to the American Academy of Microbiology. He is Editor-in-Chief of Tuberculosis and an editor of Pathogens and Disease and a former editor of Journal of Biological Chemistry. Assoc. Prof. Helena Bujdáková, is the head of the Department of Microbiology and Virology, Faculty Natural Sciences, Comenius University in Bratislava, Slovak Republic. She is a specialist in medical microbiology. She has had experiences with a management of national projects, but also with those bilateral ones with Austria, Armenia and Ukraine. She was a partner of the consortium in the project CanTrain Marie Curie Research Training Network (FP6) funded by EU. She got Fulbright and JSPS scholarships for research / teaching stays in USA and Japan. She is also Vice President of the Czechoslovak Society for Microbiology, the bilateral organization joining Slovak and Czech microbiologists. 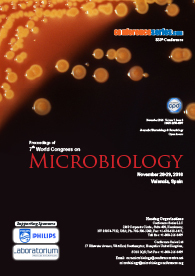 She has been a member of the Group for teaching Microbiology in Europe, established at FEMS (Federation of European Microbiological Societies). Regularly she gave invited lectures at national and international conferences and congresses. In this very challenging and competitive science discipline, she published more than 60 reviewed articles indexed in Web of Sciences that have been cited more than 450 times. she has worked in various topics dealing with microbial biofilms, especially, aimed at yeasts from the genus Candida.She has also been actively involved in the consortium COST Action iPROMEDAI TD1305 (Improved Protection of Medical Devices, 2014-2018). Natalia Tschowri studied Biology at the Freie Universität Berlin, where she also obtained her PhD under the supervision of Prof. Dr. Regine Hengge with a thesis on blue light signalling in the control of biofilm formation in Escherichia coli. In September 2012 she joined Prof. Mark Buttner’s lab at the John Innes Centre in Norwich, UK as a PostDoc. Funded by the EMBO longterm fellowship, she began to work on c-di-GMP signalling in Streptomyces. Back in Berlin in October 2013 she continued with her studies on the role of cyclic di-nucleotides in Streptomyces developmental biology and is now an independent group leader at the Humboldt-Universität zu Berlin.